Welcome to another edition of Muffin Tin Monday! San Diego weather has been super chilly (well, chilly for San Diego) and this blogger is freezing! I have had to wear *gasp* something other than flip flops on my feet whilst out and about. We made a fruit sampler Muffin Tin Meal today and it was delish! Now, it's your turn! 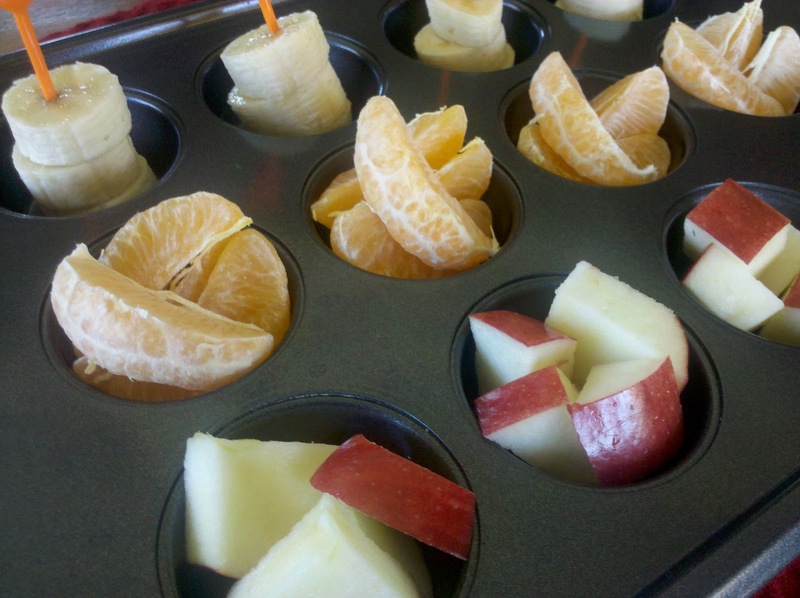 What did you make for Muffin Tin Monday? Add your link below and be sure to link back to MuffinTinMom.com! I just wanted to say that I miss MTM!! We quit doing it because I was so exhausted while I was pregnant and because Dawson has been such a picky eater for almost a year now!! I think we are going to try to start joining in again though, it might take a little more planning with a newborn in the house but I think Dawson will have fun and maybe will start trying more foods! A fruit sampler! That's a great idea. JDaniel would just love this. 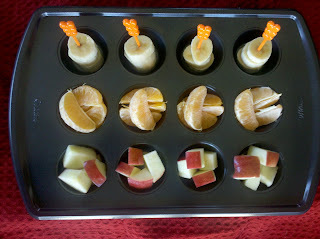 My kids just love fruit! They would love this. I need to get some cute picks like that. And more muffin tins, too. Where do you find yours? A yummy fruit tin that's delicious by itself and good mixed up too! I bet it was a hit with your kids! I'm your newest follower. Not sure how I found you - I'm just hopping this morning! I have a one year old, so MTM is soon to be in our future! So glad I found you!